Jeremy Corbyn has said he’s open to the idea of a second vote. 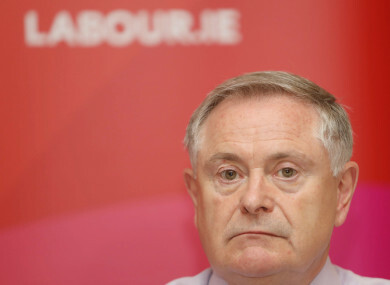 BRENDAN HOWLIN HAS said he hopes there will be a second Brexit referendum in the UK. The Labour leader made the comments after the British Labour leader Jeremy Corbyn said he is open to the idea of a second referendum if his party agrees to such a policy at a conference this week. Corbyn told the BBC’s Andrew Marr Show that Labour may choose to reject the Brexit deal agreed between the Conservative party and the European Union. “We would vote it down if it didn’t meet out tests, in order to send the government – if it is still in office – straight back to the negotiating table,” he said. Delegates at a Labour Party conference happening in Liverpool are expected to vote on Tuesday on the possibility of a second referendum. Howlin, who is due to attend the conference, welcomed Corbyn’s comments. “Let’s face it, two years ago, few people knew much about how the EU’s customs union or single market operate, never mind the more obscure agreements underpinning air transport or radioactive materials often used in our medical devices. In any democracy, people should always have the right to deliberate and vote again when they have gained access to new information or had a chance to understand more clearly the implications of a decision. Howlin noted that recent opinion polls suggest there has been a shift in people’s views, with “the vast majority of Labour members in favour of a second vote, and indeed in favour of remaining inside the European Union”. He added that, from an Irish perspective, “there is no such thing as a good Brexit, only damage limitation, as Ireland’s economy is so closely bound up with the UK’s”. “Also, a hardened border in Northern Ireland would profoundly disrupt social and economic wellbeing there,” Howlin said. Pressure is mounting on Theresa May from eurosceptics in her Tory party to abandon the so-called “Chequers” proposal for a less ambitious one that would not maintain such close EU-UK ties. The Daily Telegraph has reported that ministers intend to use a cabinet meeting tomorrow to call on May to develop a “Plan B” alternative to Chequers. May insisted on Friday that there were only two options on the table: trying to find a compromise on her proposal or no deal at all. She added that it was now the EU’s turn to make a counter-proposal. “We now need to hear from the EU what the real issues are and what their alternative is so that we can discuss them. Until we do, we cannot make progress,” May said. Email “Howlin backs second referendum, says there's 'no such thing as a good Brexit for Ireland'”. Feedback on “Howlin backs second referendum, says there's 'no such thing as a good Brexit for Ireland'”.